The third-largest U.S. cable operator said it was leaving the business because it could not offer the network scale, 4G speed or popular devices to compete with established mobile carriers. Subscribers will be able to continue using the service through March and keep their mobile devices, with all early termination fees waived. 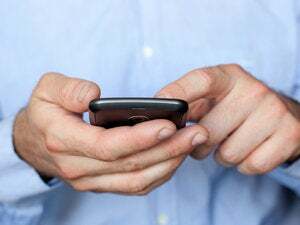 They will receive a US$150 credit on their bills for each wireless line that is disconnected. Cox had launched mobile service in a handful of areas beginning last year, but in May the company said it would dismantle the infrastructure it had built and rely entirely on Sprint's network. With both systems, it offered 3G service with EV-DO (Evolution-Data Optimized) technology, slower than the 4G systems now sold by Verizon Wireless and AT&T, and by Sprint through its partner Clearwire. Cox said it had invested more than US$500 million in spectrum licenses. Some observers were surprised when Cox vowed to build its own wireless network, given the time and cost involved. Their concerns proved prescient as Cox soon turned to Sprint to achieve a quicker rollout. It introduced the service in a handful of markets, including Orange County, San Diego and Santa Barbara, California, the Hampton Roads, Virginia, area, and some markets in Nebraska, Oklahoma, Rhode Island, Connecticut and Ohio. But the offering never went out to more than 50 percent of Cox's 6 million home and business subscribers. 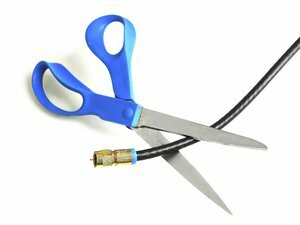 Cox sold the service in bundles with TV, Internet and voice plans. When it first announced its mobile vision in 2008, the company said it would let subscribers use their phones to watch TV shows, program their digital video recorders and access content stored on their home PCs. While mobile data and video services have captured more of U.S. consumers' attention in recent years, cable operators have not had great success in this area. Comcast and Time Warner Cable are major investors in Clearwire and resell its WiMax service, but most of Clearwire's wholesale subscribers buy the service through Sprint.